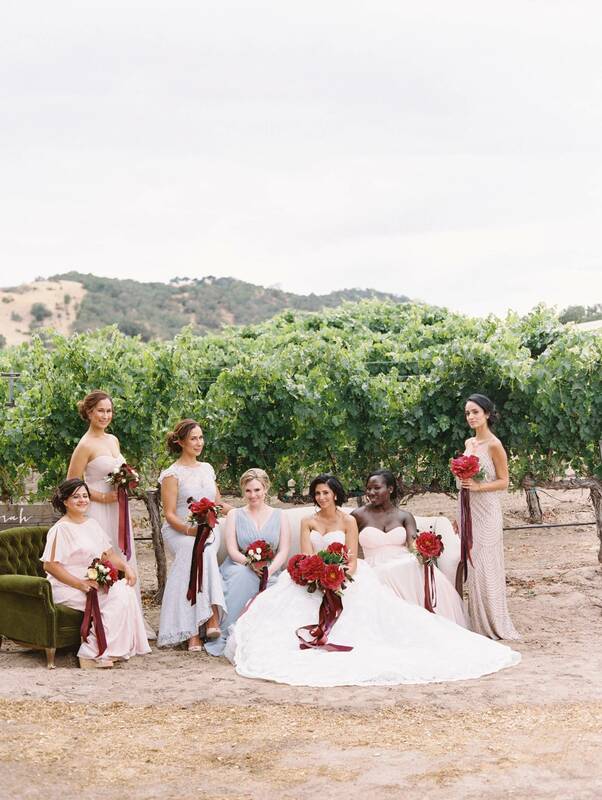 Inspired by the 2015 Pantone Color of the Year, "Marsala", this wedding incorporated rich red tones in the vibrant flowers and elegant design at the Paso Robles vineyard wedding venue, The Vintage Ranch. 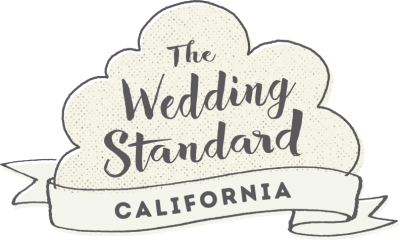 This beautiful property recently featured on the Netflix original show "Stay Here", is the perfect Paso Robles wedding venue with its beautiful oak trees and rolling green hills. Check out The Vintage Ranch's blog to see more of what makes this venue so great! 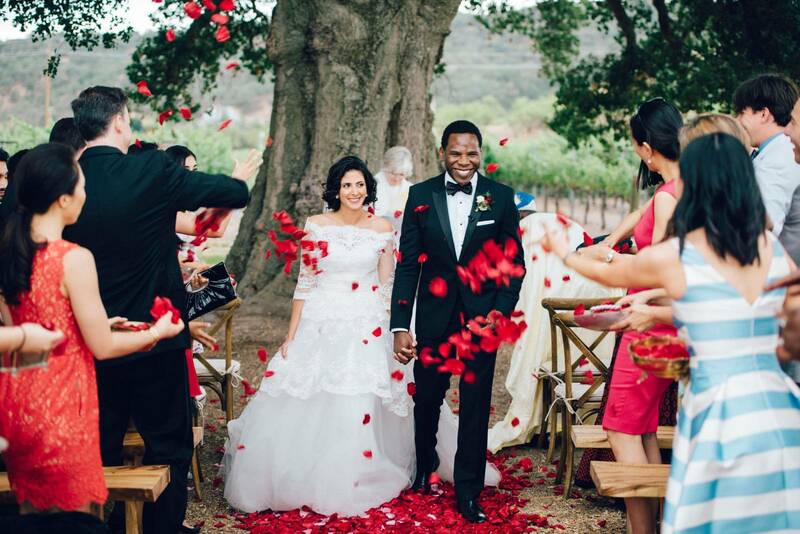 All of the amazing photos from this special day were captured by photographer Pat Moyer. Boy Meets Girl! Tell Us Your Love Story! From the bride: "Hi! We met at the hospital! My husband was consulting on a patient that was in my unit. (I am a wedding coordinator/designer BUT also an ICU Nurse. My husband is a physician) After meeting in the ICU, we started to date and found out we had a lot in common." What colors did you choose for your overall theme? Marsala, olive green, hints of gold, cream and champagne. Describe 1 or 2 details (about your wedding) that you were the most excited about. I was most excited about marrying my husband of course!! The wedding planner/designer in me was excited to work with my friends too! 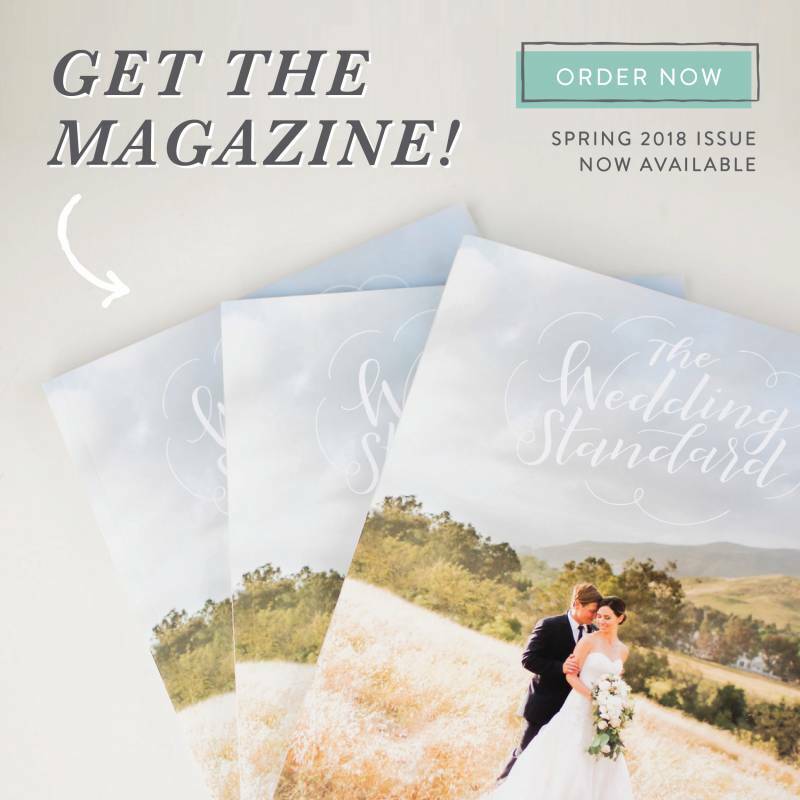 It was SO much fun planning my wedding and seeing everything come together. Tell us about 1 or 2 memorable moments (from the wedding day) that stick out to you. I remember our vows, the double rainbow that appeared after a small bit of rain, and my husbands expression when he saw me in my Marchesa gown for the first time. First off I LOVE Sonja from Vintage Ranch. She is a kind soul who really loves offering her property to couples in love. She was such a pleasure to work with. My amazing friend and florist, Nancy really ROCKED it! I still get comments about the flowers. I really enjoyed working with everyone, Elan from Elan Event Rentals, Mar from Team Hair & Makeup, Pat Moyer who did our photography, Laura from DishWish, I mean everyone was great! Knowing what you know now... what advice would you have for other brides planning their wedding? Follow your instinct when choosing your wedding venue. 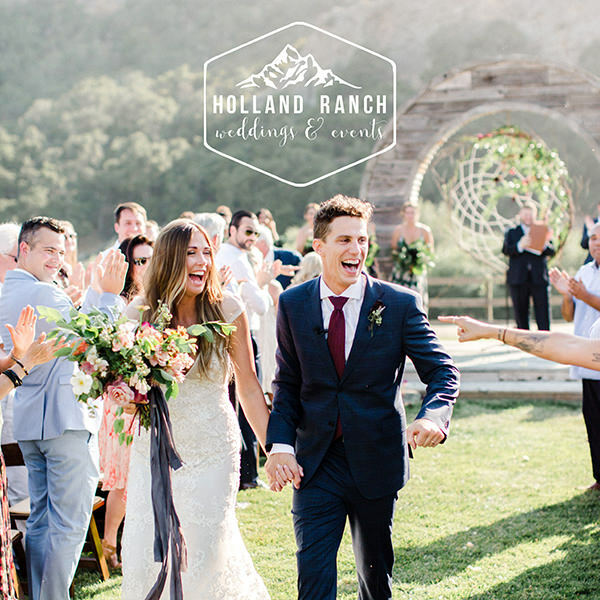 We immediately knew when we stepped on Vintage Ranch that it was the perfect place for us to say our vows in front of our friends and family.